Above 70 feet in length, we find a family of multihulls - sail and power - which is a little bit special, and which we have called "MultiYachts"! Boats that require a professional crew for their maintenance as much for the smooth running of these complex units, but which offer above all a service and a quality of life on board like no other... A must-have! 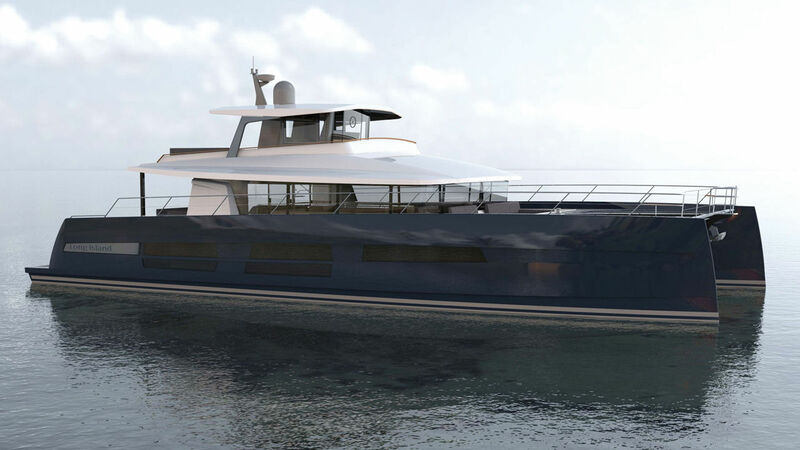 Following the launch of the 60 which demonstrated all the skills of the shipyard, a 78 footer is now being designed. High performance in a spacious and comfortable interior are coupled with a very sleek rig. 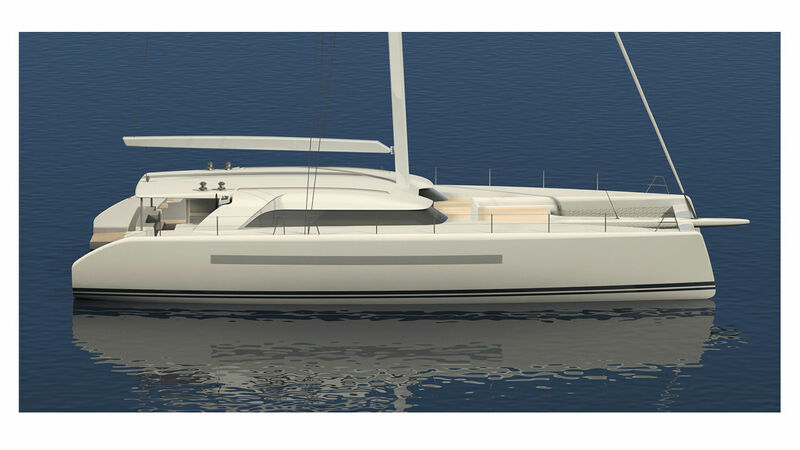 Nevertheless, a small flybridge is hidden in the coachroof, grouping steering, sai, handling manœuvres and sunbathing. High-tech materials are used for construction and the engines are centered in a technical compartment for optimizing the trim. Four large cabins, including a master suite, and a large crew quarters for 3 or 4 sailors, are customizable on demand. The 80 had by far the biggest freeboard of any boat at the last Cannes Yachting Festival. No less than three meters between the waterline and the rail. The bulwarks are raised for more safety and the forward cockpit is accessible from the saloon by a watertight door. 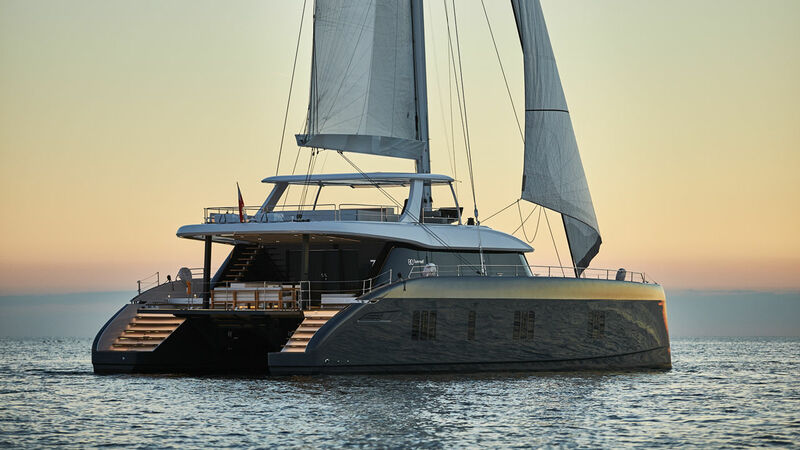 This unusual freeboard height provides an interior volume never before seen on a large catamaran. The owner's cabin is arranged like a huge suite, in the entire starboard hull, with a cabin for the children at the front. The range of fully custom fittings is endless, with the galley in the nacelle or in the hulls, with the only constraints being the structural bulkheads.